Can a single mistake of a software developer ruin an entire company? The answer is yes, but only if the software development company doesn’t know how to learn from its past mistakes and grow as an organisation. Hi folks! 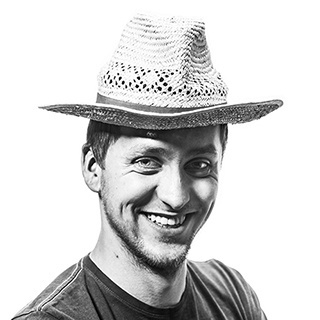 I’m Darek, a leader and senior RoR developer at Netguru. I joined Netguru when it had 30 members, now we’ve grown to more than 210! Recently, I’ve had a very interesting problem to solve. We wanted to have better knowledge about what skills our people have, what they want to get better at and, last but not least, improve how we assign people to projects. That’s why we introduced “Skills”, a feature in “People”, one of our open-source projects. You can try it out yourself if you want. Let me walk you through the new features! Hitting a goal on time and within the budget requires a clever strategy and a battle-tested process. Without them, attaining your goals may be not only stressful but also ineffective, and may result in the product’s failure. Following a structured development process suggested by a software development company with all key roles filled will help you avoid it. A client may see progress faster at first with a full-time employee or a freelance contractor. But over time, the investment in an established process will show its benefits – usually as early as a few weeks into the partnership. How do you reach your goal fast and smart? Read our tips.